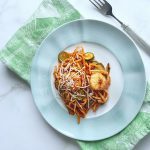 What is Palmini Pasta and is it Keto? 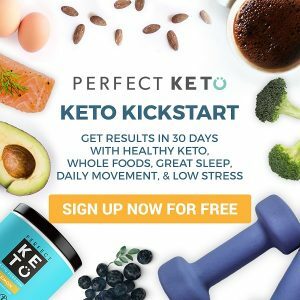 Is the Eco-Keto Diet better than Keto? 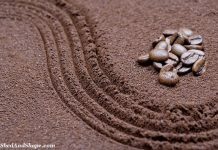 What is Coffee Flour and is it Keto? 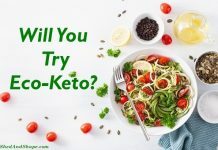 Is The Keto Diet Bad For Some People? 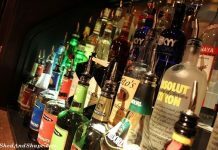 What Are The Best Low Carb Alcoholic Drinks? 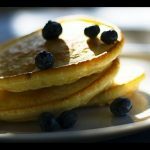 Will a Late Breakfast and Early Dinner Reduce Body Fat? Weight Loss vs. Fat Loss. Which is Best? 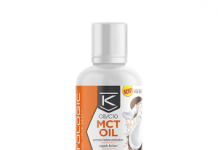 Does MCT Oil Help You Burn Fat? Do Toxic Chemicals Make You Fat? 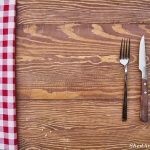 Can Reverse Fasting Help Me Lose Weight? Detox Teas : Do They Help You Lose Weight? 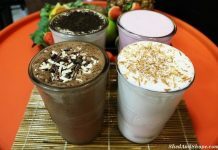 Will High Protein Low Carb Shakes Help Me Lose Weight? 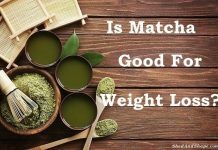 Is Matcha Green Tea Good For Weight Loss? 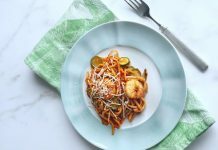 Are Slow Carbs Better Than Low Carbs for Weight Loss? 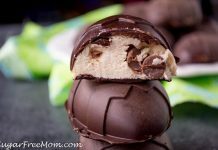 If you are looking for ways to avoid weight gain during the holiday season you are in the right place as I have plenty of tips for you. It’s not uncommon to worry about your weight at this time of the year as research shows that people tend to gain weight during the holiday season and won’t even lose it even when the holiday is over. Others may be able to go back to their normal weight but this would take them up to five months and even more! This is pretty upsetting especially if you’ve worked so hard in the past months just to achieve your ideal weight. Sure, the holiday season is all about celebrating and indulging with friends and loved ones, but you can do so in moderation. 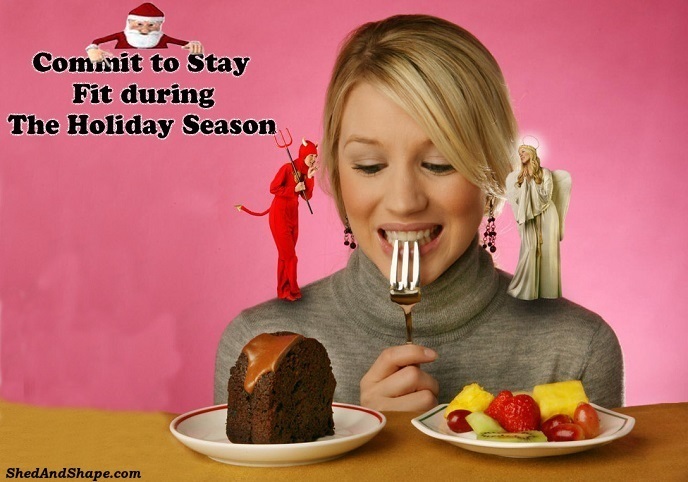 For tips on how to avoid gaining weight during the holiday, check these top tips out. So if you have plans to binge during the Thanksgiving dinner, it is best to eat a moderate amount of breakfast in the morning that includes plenty of protein. 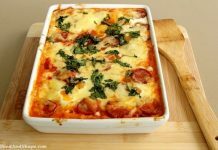 That should help to keep you feel fuller longer and prevent the urge to pig out when dinner comes. 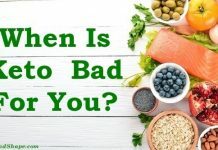 If you’ve been following a low carb diet like the keto diet, then you already know that carbohydrates should be restricted in order not to gain weight. For others who are not on the diet, you must also follow the same rule if you don’t want to gain weight on holiday. Simple carbs that usually consist of white stuff such as refined sugar and white bread must be avoided. These foods will not only make you gain weight easily but they also lack the nutrients needed for your body to stay healthy. You don’t really need to totally skip carbohydrates especially if you’re not following a low carb diet. Just minimize your consumption of carbs in order not to gain unwanted weight. 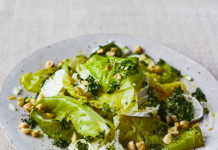 There are lots of delicious low-carb recipes that you can cook for the holiday. 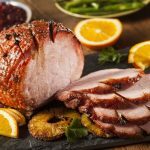 For your Thanksgiving dinner, check out these low carb Thanksgiving meal ideas. 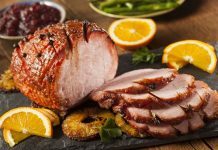 Most holiday meals are usually rich in carbohydrates but don’t have enough protein. But it’s very important that you include protein in every meal as it promotes fullness and is beneficial in maintaining a healthy weight. 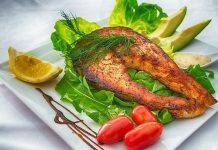 As a matter of fact, meals that are high in protein can help to automatically minimize calorie intake by preventing hunger and reducing appetite. 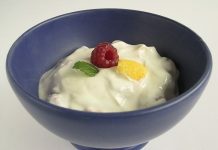 Protein is also beneficial for weight management since it helps to improve the metabolism. 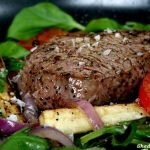 Related reading: Is A High Protein Diet Like Keto Bad for You? Experts recommend eating at least 25 to 30 grams of protein in every meal. 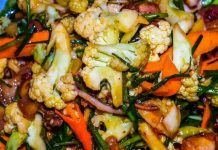 Some of the best sources of protein are wild fish, free range poultry, grass fed meat, and plant-based foods like quinoa, seeds, nuts and beans. A lot of people are eating poor quality protein, processed meats like burgers and salami. High intakes of processed meats have been linked with an increased risk of bowel cancer. 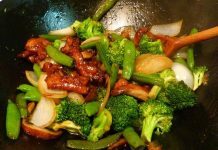 If you are tasked to cook the foods to serve on your Thanksgiving or Christmas dinner, make sure you cook recipes that include at least a serving or two of protein foods in order to minimize any chances of overindulgence. For instance, you can cook this delicious low-carb Bacon Wrapped Chicken Tenders for your appetizer. It’s not only low in carbs, it’s also high in protein. 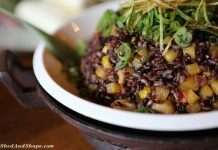 Eating slowly might be difficult if you’ve got a handful of your favorite dishes served right in front of you. But if you don’t want to gain weight on holiday, it definitely pays to pace yourself at the dinner table. It’s because if we eat very fast, our body won’t have enough time to register our fullness. 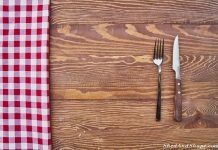 In one study involving a group of people in Japan, it was found that people who eat at a normal speed are 29% less likely to become obese compared to those who eat their food very quickly. So keep this in mind when sitting at the dinner table on holiday. Slow down on your food and take time to enjoy each and every bite of your favorite holiday meals! Therefore, do your best to include fiber-rich foods in your holiday recipes. Fiber also helps to keep the waste moving through the digestive system to prevent constipation and protect against bowel cancer. Your meals should include fruits, legumes, vegetables, nuts, seeds, and whole grains. 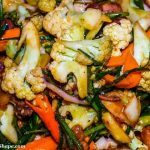 Grains are of course excluded on the keto and Paleo diets. Sometimes, the amount of work involved in holiday preparations can really be stressful. But according to experts, stress could greatly contribute to weight gain. It’s because when you’re stressed, the hormone cortisol is released. Having a high level of cortisol is linked to greater food intake, which leads to weight gain. Therefore, it’s important that you keep your stress level under control not just during the holidays, but all throughout the year in order to prevent weight gain. Despite how busy you are, take time to exercise, do some meditation, or perform yoga. These activities can help to beat stress. During the holidays where everyone seems to be in the festive mood, it’s easy to end up overeating, which is why so many people tend to gain weight during this time of the year. Understandably, if you’re going to eat more than the recommended portions, then you’ll end up gaining weight more easily. The best way to avoid overeating is to be mindful of your portion sizes. 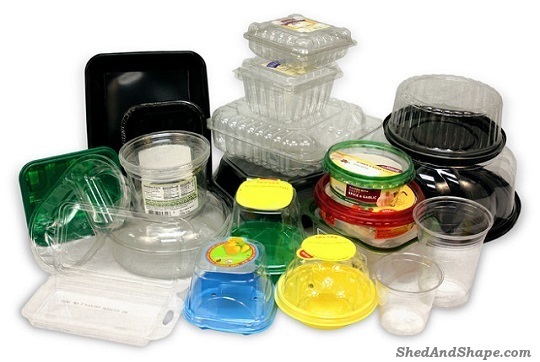 Experts would also recommend eating from smaller plates whenever possible. It’s been said that eating from smaller plates can easily make you feel full even if you ended up eating only a small amount of food. If possible, read food labels and measure food portions before digging in. 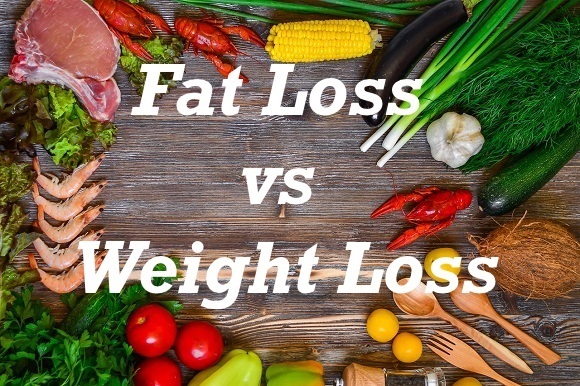 Those who are on the low carb ketogenic diet are fully aware that eating more fats is beneficial to losing weight. 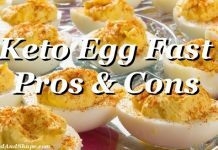 But even if you’re not on keto, although it does not seem logical, you should consider eating more healthy fats if you don’t want to gain weight during the holiday season. 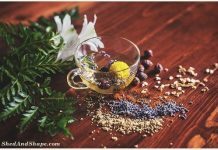 Aside from helping to shed off the excess weight, these foods also come with health benefits, such as lowering blood sugar, bad (LDL) cholesterol, improving brain function, increasing energy and more. You can get healthy polyunsaturated fats and monounsaturated fats from various foods, such as avocados, nuts, olive oil, and more. Check out this list of the best types of fats to eat. 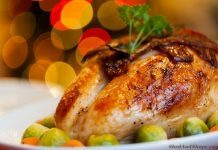 Aside from the tips above, there are several other ways on how you can prevent weight gain this holiday. If you’re really serious about this, you should set a limit to yourself as early as now. 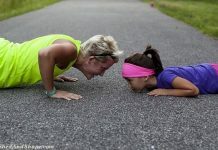 Make a commitment to stick to your goals no matter what. You may end up slipping especially when you’re having a good time with friends, but when this happens, simply move on, and make sure you stick to healthier choices on your next meal. 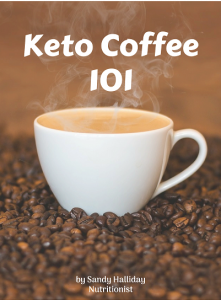 Can Keto Coffee Help You Lose Weight? Want To Boost Your Metabolism and Energy? 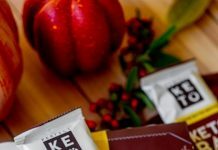 Why You Should Try Keto Coffee? 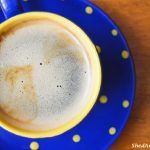 How to Make the Perfect Cup of Keto Coffee. 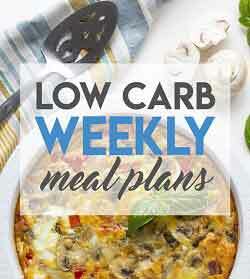 Enter your email below to get the guide and my regular low carb and health tips and recipes emails.